Great repaints!! Would anyone be able to do the later Air UK blue stripes and union flag please? Many thanks! Yes please, and the TAA one too if you like. [QUOTE=skydrew69]Great repaints!! Would anyone be able to do the later Air UK blue stripes and union flag please? Many thanks! Yeah I'd look at doing that for you, but you can help me with the research, what is the text below the cockpit windows, I can see as much as "Friendship Fred something" ... whats the 'something' ? Great-thanks Crankpin! She was "Friendship Fred Trueman"
Thank you very much John. 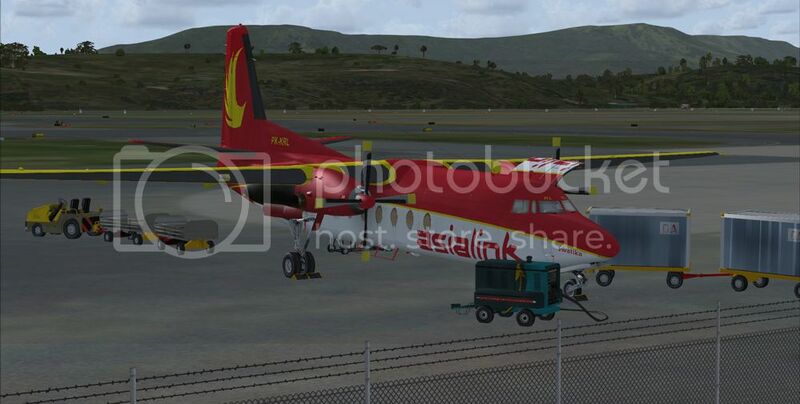 I have posted a link page over at OZx for both the Air Niugini and TAA paints of yours. I too am very interested in the 3 blue striped AirUK livery. many of you may know my name from numerous repaints in Flight sim, but I am having serious problems with the texture format. I think maybe it can only be done using photoshop. All my repaint have used MS Paint and configured with DXTBmp. I tried to correct the many errors with the just Flight AirUK (early blue livery), but all I ended up with was a translucent aircraft? So any idea when the 3 strip livery will be ready? I too am very interested in the 3 blue striped AirUK livery. A 'few' days Ian, had jobs for the weekend. By the end of the week for sure. What format is he livery in? I do all my repaints using MS paint and save format in either DXT or extended BMPs using a program called DXTBmp. I have largely corrected the out of the box AirUK livery, but cant save the artwork in a usable format, all I get in translucent textures? Unfortunately this was one of those cases where I wish I hadn't committed to doing the repaint. Paint-kit issues are discussed elsewhere but due to the relative positioning of the windows and the large duct/air intakes at the rear of the aircraft the positioning accuracy of the board stripes had to be compromised. I have uploaded to AVSIM, it should be available soon. Ian I did PM you, but I suspect your problems may be with managing the alpha channel in the .dds files that in this case handle transparency of the windows. WOW! Thank you SO much! She looks fantastic! Nothing yet, I'm not too sure what time Avsim update? Is that the only site you've published? Fictional in the sense that Asialink's F27's are 500 series but the livery is genuine enough. A modern look and one for the cargo pilots. Enjoy!